You don't have to win the lottery to become a millionaire, with Lottoland's great range of scratchcards there are even more ways to be in with a chance of claiming a jackpot. We present ten of the best scratchcards on offer at Lottoland, but there are plenty more to choose from when you go to our scratch card pages. Enjoy some of the best scratchcards around and you may just become our next instant millionaire. Take a look at ten of the most popular online scratch cards available today at Lottoland. We have already had lots of Irish scratchcard winners at Lottoland and we are always hoping to welcome more players to the scratchcard winners' club! There is a great variety of different online scratch cards available at Lottoland, with more being added all the time. Whether you just want to play for a few cents or you want to aim for that million euro win, there is an online scratchcard to suit you. As you can see there are is something for everyone when it comes to online scratch cards at Lottoland. The list above clearly demonstrates that not all scratchcards are the same, and can differ greatly when it comes to cost, odds of winning and the prizes at stake. 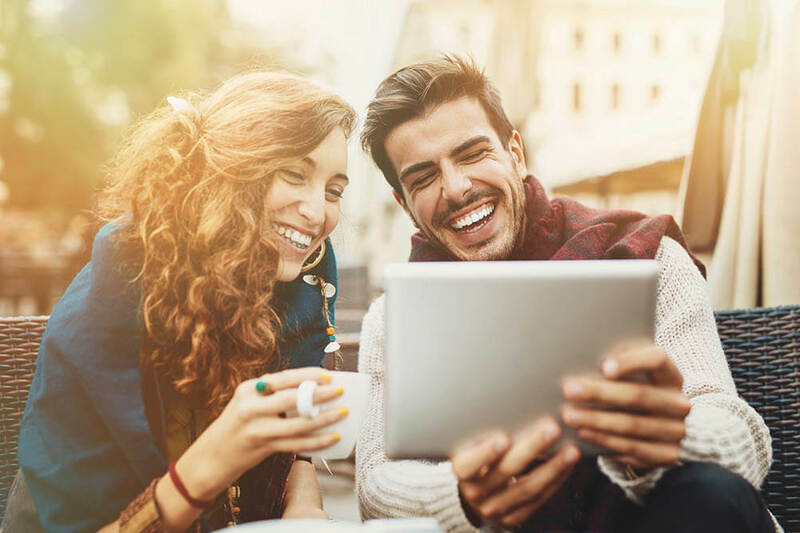 Whether you are interested in a low-cost option like the 777 Scratch Card or want to shoot for prizes in the millions, you will have plenty to choose from at Lottoland. Note that the odds displayed on the table above refer to the odds of winning any prize from your scratchcard. Our biggest and most popular scratchcard is Chris Tarrant Millions, which has a whopping 25 different prize tiers and winnings ranging from €1 to a cool €1 million. After all, you wouldn't expect the former host of Who Wants to Be a Millionaire to give away anything less than a million-euro jackpot would you? To win simply match your symbols with the winning ones shown on the card. A single card is €5, however players can make a 6% saving if they buy 5 cards in one go, or a 10% saving if they purchase 10, a great saving for scratchcard lovers. In total 10,000,000 scratchcards are released at a time, meaning there is a 1:10,000,000 chance of becoming a millionaire with the Chris Tarrant's Millions scratchcard, compared to the 1:45,000,000 of becoming a millionaire with the UK Lotto. 33Chances does exactly what it says on the tin, giving you 33 chances to win a prize. Tickets are €2 a go, but an 6% discount can be made when buying a set of 5, or a 10% discount for a set of 10. To win all you need to do is reveal 3 winning numbers from the 9 available. However, that isn't all, in the extra chance area players can increase their winnings but up to 10 times. As shown in the image above, the player revealed a winning set of fours, as well as times two extra chance, giving them an €8 payout. With 20 different prize tiers, potential winnings range from €2 to €20,000. With 1,000,000 33Chances scratchcards released at a time, the odds on scooping that 20k prize are 1:1,000,000. With 10 different prize tiers, a potential €100k cash jackpot and just €1 to enter, there is a total of €1.8 million up for grabs. 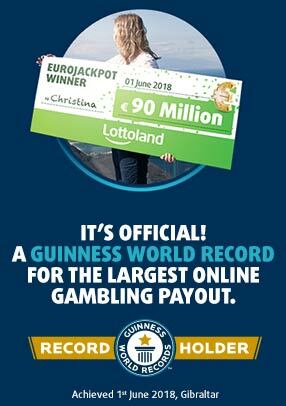 Maybe that's why the €100,000 Cash Scratchcard is one of the most popular with Irish players at Lottoland. Simply match 3 numbers from a possible 9 to win a prize, with the lowest being a free play and the jackpot €100,000. One of the best scratchcards on the market, the Instant Millionaire does exactly what it says on the tin. Much like the €100,000 cash scratchcard, Instant Millionaire has 10 prize tiers, with winners matching 3 symbols from a possible 9. Where it differs is the potential winnings, with the jackpot standing at a whopping €1 million. Each card is €4, although players can pick up 5 for €18.50, or 10 for €36, which is a nice 10% discount. We all know how hard it is to get a foot on the property ladder, making this Lottoland scratchcard a particularly enticing one. Match three symbols to win, with a top prize of a million euros on offer to one lucky winner. Even if you don't nab the jackpot prize, there are plenty of lower tier prizes available from this €4 scratchcard as well. In fact there are two €100,000 prizes, five worth €10,000 and fifty prizes worth €1,000, making this a very generous online scratch card. Priced af €2 per card, the jackpot prize for the 10 Lucky Years scratch card is an awesome €5,000 a month for a decade. The prospect of such a healthy amount making its way to your bank account every month for ten years is why this card has proved to be so popular. The lower tier prizes are very generous as well, with 2x €50,000 prizes to be won as well as no fewer than ten prizes of €5,000 each. How would you like to wake up every morning for a whole year knowing that another £1,500 is being deposited to your bank account? That's the prospect on offer if you try out one of our popular Everyday Payday scratch cards. Each card costs just £2 and if you match three Everyday Payday symbols you are in for a very good year! Besides the big award there are more than 1.7 million prizes to be won from this attention-grabbing online scratch card. Get your motor running and gear up for the chance to win a fabulous Ferrari 488 GTB plus €50,000 in cash. That's the top prize on offer from this scratch card, though you can take the cash award of £300,000 if you prefer. And if you're thinking that nobody ever wins a car from these scratch cards then you should check out our winner's story about the Londoner who won the top prize on the Dreamcar Porche card. There are ten different prize tiers to be won, ranging from that top prize down to €5, with cards costing a tenner each and a very generous 1:2.5 prize winning ratio. We are really excited about our EuroMillions scratch card, and it has quickly proved to be one of our most popular online scratchers. A card costs just €2 and you can win up to a million euros instantly. There are twelve different prize tiers in total, allowing you to win sums from between €2.95 up to that cool million. The second tier offers 142 chances to win €2,950 so even if you don't hit the jackpot you could get a very nice win for yourself on one of the lower prize tiers. This scratchcard plays out like a min version of a lottery draw, as you uncover your 12 lottery numbers and try to match them with the 5 numbers shown on your card; match at least one and you win a prize! No surprises what the jackpot is with this card. For every batch of 1,000,000 cards, there are 7 lucky tickets with a €7,777 prize. 777 offers Lottoland's cheapest one time play, with a single card costing just 50c. With 8 different prize tiers, ranging from 25c to the big €7,777 prize there are loads of ways to be a winner with this one. Think that nobody ever wins from online scratchcards? Well think again. One lucky lady from Longform won the top prize from the 777 Scratchcard and we hope to find plenty more Irish winners this year. If instant wins are your thing, or you want to experience a different thrill from your regular lottery bets, make sure to check out our scratchcards page and get full access to our every increasing selection of cards.